Is your child having trouble sleeping at night? Sleep is important for growing children; it can be worrying when your child doesn’t seem to be getting enough of it. Sleep disorders are one of the most common reasons for children to face trouble sleeping at night. They can range from insomnias to parasomnias, and even sleep-related breathing disorders like sleep apnoea. Sleep apnoea is a potentially serious sleep disorder in which the patient’s breathing repeatedly stops and starts while they are asleep. A form of sleep-disordered breathing, patients diagnosed with sleep apnoea may face trouble sleeping at night due to breathing difficulties. Loud snoring on a regular basis. Pauses, gasps or snorts in breathing that may wake them up or disrupt their sleep. Restless sleep, eg. sleeping in abnormal positions with their heads in unusual positions. Excessive daytime drowsiness. This symptom is more common in adults and older children; younger children are more likely to go in the other direction and display signs of hyperactivity. If it goes untreated, sleep apnoea can be potentially debilitating. At the very least, it has the potential to inhibit your child’s growth and development. Sleep-disordered breathing is associated with inhibited growth in children. One theory is that the frequent interruptions disrupt the secretion of hormones vital to the growth process, hence inhibiting your child’s development. Sleep apnoea in children is also thought to increase fragmented sleep, which occurs when an individual’s sleep is frequently disrupted or interrupted, which can cause difficulty paying attention, periods of hyperactivity, and symptoms of anxiety and depressive disorders. Beyond that, suffering from poor-quality sleep or sleep deprivation for extended periods of time also has negative side-effects on your mood. Your child may become increasingly grumpy and irritable the longer they go without proper restorative sleep. What should you do if you suspect your child has sleep apnoea? If you think your child could have sleep apnoea, the best thing you can do is to make an appointment with a paediatrician who specialises in sleep disorders. The specialist will be equipped to diagnose your child and advise you on the best way forward. They may recommend an overnight sleep study for your child, which will be conducted in a lab; home testing for sleep apnoea is not recommended for children. Keep a sleep diary for your child to prepare for your doctor’s visit. You can write down every time your child has trouble sleeping at night, as well as any other symptoms that might be a cause for concern. Sleep apnoea can have serious and long-lasting consequences on the mental and physical growth of a child. If you start to suspect that your child might be suffering from it, it’s important to nip it in the bud so that your child can get the rest they deserve. American Academy of Sleep Medicine. Child Sleep Apnea – Overview and Facts. 2018. Electronic. 24 July 2018. <http://sleepeducation.org/sleep-disorders-by-category/sleep-breathing-disorders/child-sleep-apnea/overview-facts>. American Academy of Sleep Medicine. Child Sleep Apnea – Symptoms & Risk Factors. 2018. Electronic. 24 July 2018. <http://sleepeducation.org/sleep-disorders-by-category/sleep-breathing-disorders/child-sleep-apnea/symptoms-risk-factors>. American Academy of Sleep Medicine. Interruptions, fragmented sleep may be same as barely any sleep. 15 July 2014. Electronic. 24 July 2018. <http://www.sleepeducation.org/news/2014/07/15/interruptions-fragmented-sleep-may-be-same-as-barely-any-sleepb >. American Sleep Apnea Association. Children’s Sleep Apnea. 2017. Electronic. 24 July 2016. <https://www.sleepapnea.org/treat/childrens-sleep-apnea/ >. Mayo Clinic. Sleep Apnea. n.d. Electronic. 23 July 2018. <https://www.mayoclinic.org/diseases-conditions/sleep-apnea/symptoms-causes/syc-20377631>. National Sleep Foundation. Could my child have sleep apnea? 2018. Electronic. 23 July 2018. <https://sleepfoundation.org/sleep-news/could-my-child-have-sleep-apnea>. Peters, Brandon. Symptoms and Consequences of Sleep Apnea in Children. 21 May 2018. Electronic. 24 July 2018. 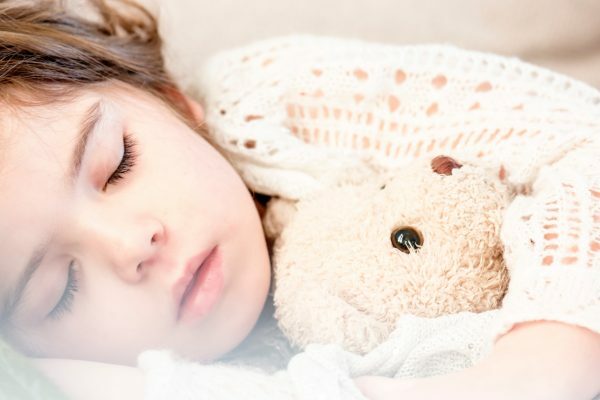 <https://www.verywellhealth.com/what-are-the-consequences-of-sleep-apnea-in-children-3015069 >.